Arriving in the Caribbean in 1654 as part of Oliver Cromwell’s Western Design, a campaign to expand the English presence in the Caribbean, Henry Morgan (1635-August 25, 1688) soon became a privateer, taking part in raids against Spanish colonies. The war with Spain ended in 1660 when Charles II was restored to the throne that year, following the death of Cromwell in 1558, but the booming trade with Jamaica convinced him to ignore the thriving buccaneering industry. Despite election as Admiral of the Brethren in 1666, a loose grouping of pirates from many nations, Morgan had no formal authority. Men followed him because his raids had a good success rate, in particular, three extremely profitable raids over a four-year period: Portobelo (1668), Maracaibo (1669) and Panama City (1671). The crown’s support of the buccaneering raids had often been unofficial, but after England signed a peace treaty with Spain in 1670, the owners of sugar plantation on Jamaica became more important than the buccaneers, since the wealth generated by the plantations was more stable than the crown’s share of occasional collections of booty captured from the Spanish. Arrested by Charles II when an alliance with Spain was needed against the Dutch, Morgan was brought to London in 1672. Viewed as a Protestant hero, he was soon pardoned, knighted and appointed deputy governor of Jamaica. Having used his share of loot from the raids to buy land, Morgan embraced the life of a plantation owner, and proved to be a ruthless eradicator of pirates, including former comrades. 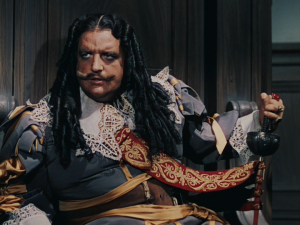 Henry Morgan (Laird Cregar), leader of the buccaneers in the Caribbean, had been arrested by the English government, but suddenly returns to Jamaica as the new governor. The buccaneers had raided Spain with the unofficial support of England, but England and Spain have signed a peace treaty. The unofficial support has been withdrawn, and Morgan struggles to rein in his fellow buccaneers who have little interest in the crown’s offer of a royal pardon and a hundred acres. Captain Billy Leech (George Sanders) openly defies Morgan and targets English ships. Unknown to Morgan, Roger Ingram (Edward Ashley), an aide to former governor Lord Denby (George Zucco) is selling information on English ships with rich cargoes to Leech. Meanwhile, Morgan’s second-in-command Captain Jamie Waring (Tyrone Power) is more preoccupied with his pursuit of Lord Denby’s daughter Lady Margaret (Maureen O’Hara), who plans to marry Ingram, than hunting down his former colleagues. 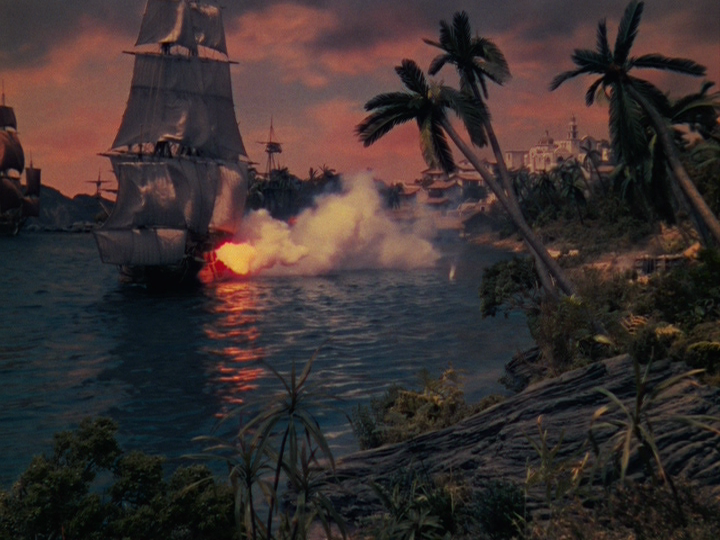 The movie has an acceptable connection to historical reality, and gets most of the details right, including Morgan’s raids on the Spanish towns Portobelo, Macaibo and Panama City, although Morgan himself has been over-dramatized. Admittedly, he was knighted, but he was only appointed deputy governor, not governor. Unfortunately, the script does not explain that Morgan was viewed as a Protestant hero in England, which had suffered embarrassing defeats in its wars with Holland. Morgan did arrest and hang any privateer who remained in Port Royal and did not give up the old life, even if they were former comrades. 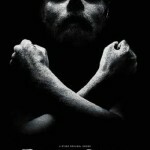 As shown in the movie, Morgan was repeatedly attacked by the former governor, who claimed that Morgan had never broken with the buccaneers, which drove Morgan to crack down hard on suspected buccaneers in order to prove his loyalty. At one point, the screen Morgan expresses a desire to return to the simple life of a buccaneer. It sounds romantic, but the real man’s career as a buccaneer was motivated by a desire to become wealthy, so he embraced the life of a sugar plantation owner. The script follows the myth that the buccaneers had powerful warships, and frequently attacked merchant ships, even well-armed merchantmen, even though the real buccaneers had leaky ships which barely stayed afloat long enough to transport them to their targets. The only time Morgan had a warship occurred when the crown sent him a frigate as he prepared to raid Maracaibo. Officially, the frigate had been sent to defend the plantations of Jamaica but it became Morgan’s flagship. Until the ship exploded during a party to celebrate the completion of the preliminary planning of the campaign. The cause was unknown, likely an error by the gunner, or simply drunken stupidity, since many men were firing their weapons to celebrate. Two hundred men died, and the only survivors were Morgan and nine captains who had been sitting on his side of the cabin. Sadly, the script ignores the democratic nature of the buccaneering crews. When Leech and Jamie agree to sail together, they sign articles to divide the loot, but it is a division between the captains. In reality, the articles were debated by the crews, and were quite detailed, providing specific rewards for bravery and payments for wounds that varied depending on the nature of the injury. 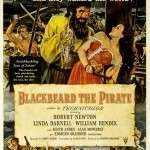 Moreover, the movie does not show two of the main sources of crews for privateers, namely slaves and indentured servants. Aside from a few black slaves in the governor’s house, there is no mention of slave insurrections or plantations for that matter, and no members of the pirate crews are black. The sugar plantations depended on back-breaking labor from slaves and indentured servants, who included Puritans, Irish and Scottish nationalists, landless poor and criminals, basically whichever group had recently annoyed the English government. Between a third to half of the indentured servants did not live to see the end of their service, so runaway slaves and indentured servants supplied a steady pool of recruits for buccaneers. 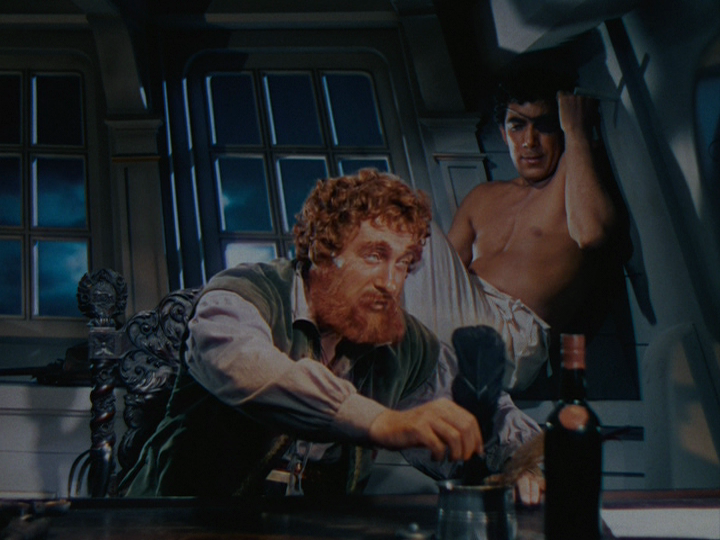 While the screen Morgan is more sober than he should be, the actor looks like the guy on the rum bottles. 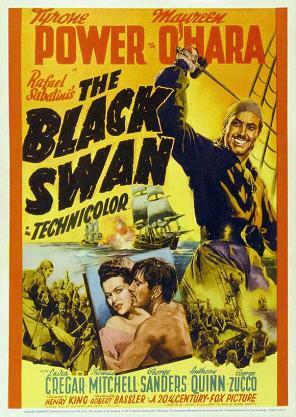 The movie is based on the novel The Black Swan by Rafael Sabatini, but the script went through several writers who kept little from the novel other than the characters’ names. The story may be dull, but the film is bursting with color. One of the first films made with Technicolor, it deservedly won an Oscar for Cinematography. Also, the final swordfight between Leech and Jamie is quite good. It is strange, Henry King had directed Tyrone Power in A Yank in the RAF a year earlier, and it was a fun movie, where Power played a womanizer and selfish scoundrel who finally starts to take the war and his girlfriend (Betty Grable) seriously, well, relatively seriously. 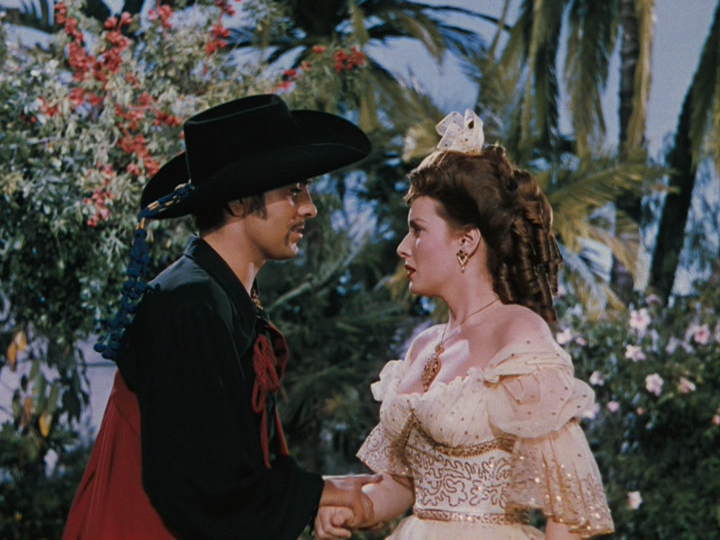 Having played Zorro two years earlier, the role of a swashbuckler who struggles to woo Lady Margaret rather than simply abduct her should have been perfect for him, but the romance is flat. While Power and O’Hara gamely pretend that sparks fly between their respective characters, they just seem to be going through the motions. Maureen O’Hara was relatively new to Hollywood and her performance is a bit lifeless. I always thought that she came into her own when she started to work opposite John Wayne in Rio Grande (1950). The scene where Morgan and Jamie’s second-in-command Blue (Thomas Mitchell) debate returning to piracy but sadly abandon the idea when they see the couple in love is one of the best in the movie. Power may have been the lead in the movie, but George Sanders’ Leech steals every scene. In fact, the entire cast is great, but the script is not good enough for their talents. It is decent, but not as good as I remember. 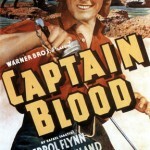 I hate to say it, but Tyrone Power is a poor man’s Errol Flynn in this film.